Address: 1486 East Buena Vista Drive. 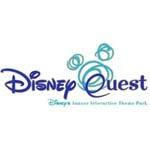 DisneyQuest Indoor Interactive theme park is a one of a kind gaming experience in the Downtown Disney area. Discover 5 floors fueled by electronic Disney innovation and imagination, including virtual reality, 3D encounters and classic video games from the past. Get there early, you could be there ALL DAY. Take your own food, DisneyQuest can be expensive. Battle supervillains as you fly through a virtual reality comic book world!